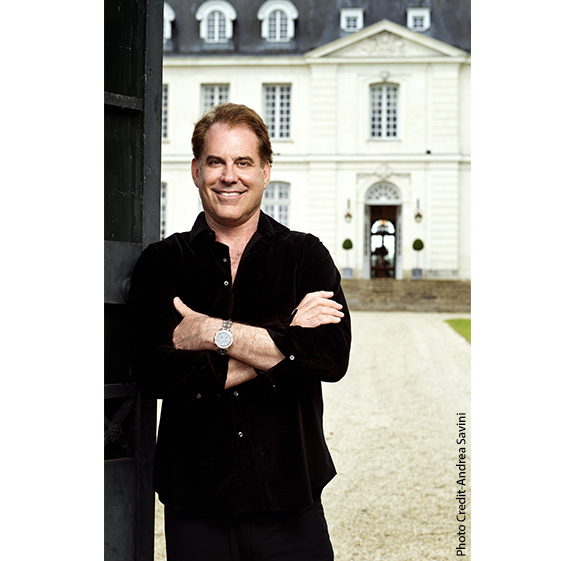 THG®-Paris, the leading French atelier for the luxury bath, announces its new collaboration with internationally recognized interior designer, Timothy Corrigan. Known for his design philosophy combining European elegance with California comfort, the two Corrigan lines, West Coast and Grand Central, are sophisticated styles that draw inspiration from the beautiful 1920s silver and jewelry designs of Tiffany’s, Cartier and Christofle. 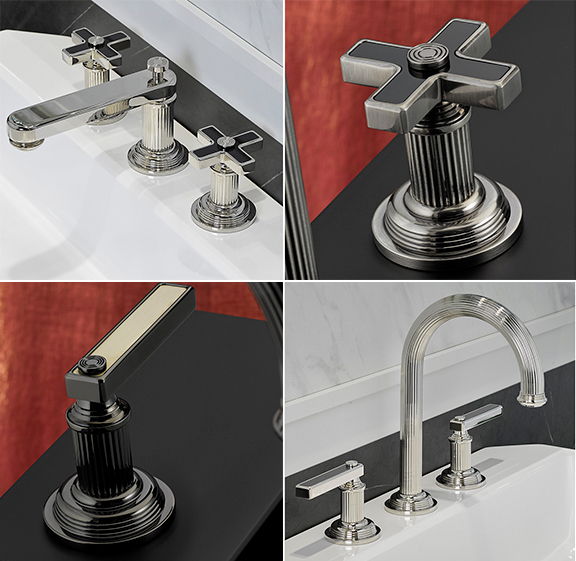 THG’s West Coast series is a true work of art and pure craftsmanship, featuring inlays within the faucet handles of either black or white onyx or a Guilloché metal pattern. The Guilloché is a decorative technique in which a very precise, intricate and repetitive pattern is mechanically engraved into an underlying material via engine turning. This technique, which was a popular motif in fine watches and decorative accessories in the 1920s, allows for greater delicacy, precision and closeness of line. 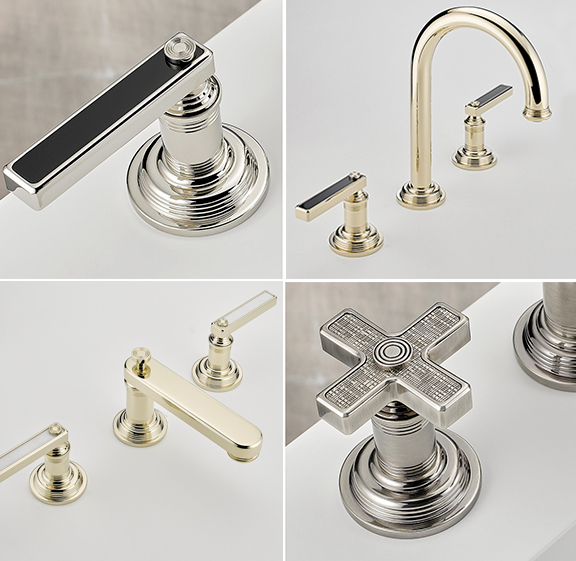 Corrigan’s signature sophisticated European design aesthetic is additionally displayed with belted waist and finial details on the handles and spouts. 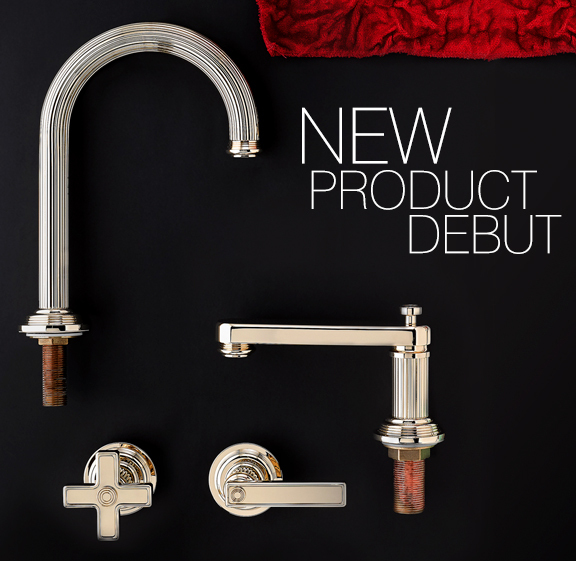 Grand Central, the second product line in the Timothy Corrigan collaboration, incorporates fluted metal work on the spout and handles reminiscent of the columns outside New York’s Grand Central Station. Similar to West Coast, black or white onyx inlays are featured within each handle, as well as the belted waist and finial details on all handles and spouts.